Blimey! Are you thinking of studying abroad in the country across the pond? Cue the magical Mary Poppins and joyful renditions of "Supercalifragilisticexpialidocious". England is one of the most popular destinations for international students and is home to some of the best universities in the world. Not to mention it’s one of the most exciting and dynamic places to live. For American students thinking of studying abroad, choosing a country without a language barrier is often an important concern. That’s not something you’ll have to worry about with England; England is a country which, according to George Bernard Shaw, is separated from America by a common language. To study abroad in England is to dive into a world steeped in history, sprawling traditions and rich culture. A world filled with afternoon teas, undying Beatle mania, football (soccer) matches, Wimbledon, and exceptional academic programs. England’s calling. Are you ready to answer? If you’re looking to study abroad, there are a variety of reasons why you should consider studying abroad in England. England is a multi-cultural hub with a long history of welcoming international students from every corner of the globe. It is a country renowned for its academic excellence and unparalleled student life. It’s home to four of the top eight universities in the world [Oxford, Cambridge, Imperial College, and University College London (UCL)]. When studying in England, you’ll have the opportunity to choose from thousands of different courses at all levels of education. You’ll also have the option of customizing your course of study. So many choices! - There are thousands of courses available in England in virtually every field. Choose your own modules - In England, many degrees are structured in modules or units. This modular structure allows students to choose specific units of study (or courses) from a variety of different subject areas. Therefore, while pursuing a bachelor’s degree in your chosen field, you can also choose to take courses which may be different from your major. Combination degree programs - For those students interested in studying more than one subject, many institutes offer combination degree programs. For example, you could choose to pursue a degree in English literature and French at the same time. Flexible completion time – Many universities in England offer students the choice of enrolling in a full-time or part-time program. Part time programs however may not be available to all international students. You’re also given a minimum and maximum period within which you can complete your degree. Assistance to get into the program you want – There are numerous preparatory courses, qualifications, and tests that you can take to improve your skills and meet the qualification requirements for your chosen program. England welcomes over 500,000 international students every year from over 200 countries. While academic excellence is definitely one of the main attractions, the exciting student life England offers is also a deciding factor for many. Those studying in England benefit from joining a community of international students hailing from practically every corner of the globe. England also has no shortage of things to do, places to see and foods to try. Every nook and cranny is historically rich and gives visitors the chance to literally step into a different time. When you have time off, you can explore the English countryside, marvel at Stonehenge, eat to your heart’s content at teeming food markets, enjoy the vibrant nightlife, or amble through the many museums and beautiful parks the country has to offer. And that isn’t even the half of it. Many people wrongly assume that England and the United Kingdom are synonymous. 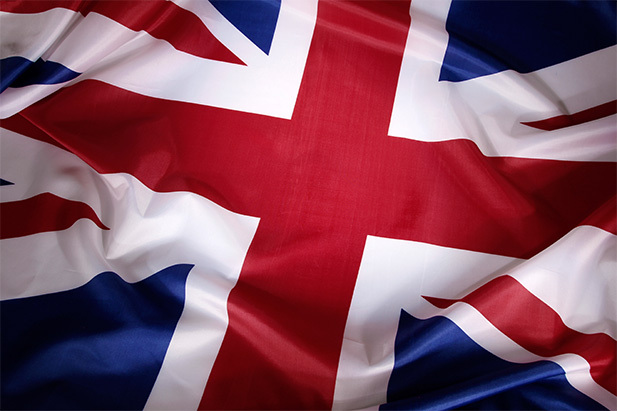 In fact, England is just one of the four countries that makes up the United Kingdom. Flanked by Scotland to the north and Wales to the west, England makes up most of the land mass of the UK, and also has the largest population with over 53 million inhabitants. That’s over 85% of the population of the UK. England is also the 4th largest country within the European Union and the 25th largest nation in the world in terms of its population size. Most of that population is densely packed into its capital, one of the biggest cultural metropolises in the world, London. England is divided into different regions, each with its own unique culture, history, and geography. This includes the Cornwall, Bristol, Dorset, Somerset, Wilshire, Devon, and Gloucestershire counties. Most of the southwestern region of England is on a peninsula. The characteristic features of the land include rocky outcrops, moorlands, and lots of farm land. Cornwall has some of the best beaches in England, and Stonehenge is also found in this region. This includes Kent, East Sussex, Buckinghamshire, Oxfordshire, Isle of Wight, and the West Sussex counties, as well as London. Most of this region is considered as to be a part of the greater London metropolitan area, and consequently, is the most populous in the country. The land is characterized by scattered small hills and lowlands. Here you’ll find some of the most well-known English towns such as Oxford, Canterbury, Portsmouth, Newhaven, and of course, London. This includes Hertfordshire, Norfolk, Essex, Cambridgeshire, Suffolk, and Peterborough counties. Eastern England is characterized by flat lands. It’s also home to another world-renowned university, Cambridge. This includes the Humber and Yorkshire counties. Rolling hills, moors, and the most varied landscapes are what you’ll find in Northern England. It’s also culturally, politically, and economically very different from the south. This includes the Lake District, Liverpool, and Manchester. Northwest England is home to two of England’s most well-known cities and ports. Much of the landscape is used for farming and features sprawling plains and wide open spaces. This includes Nottingham, Ely, Northampton, Lincoln, Birmingham, and Stratford-upon-Avon. The Midlands feature low lying plains, moors, valleys, peat bogs, and rugged hills. It also happens to be where Sir Isaac Newton first discovered gravity. England’s climate can best be described as maritime temperate, with warm summers and cool winters. Due to its proximity to the ocean, moist sea air and dry continental air frequently mix and cause a variety of different weather phenomena, sometimes all in the course of one day. The areas closest to the ocean have the mildest temperatures but are also the wettest. The south of England has the clearest skies and gets the most sunshine, due to the prevailing winds. And the areas which get the most cloud cover and typical English ‘gloomy days’ are in northern and western England. Rain is commonplace in England, and you’ll soon discover that having an umbrella with you at all times is an absolute necessity. Snow is rare and the summer months are never swelteringly hot. All in all, you’ll enjoy a generally hospitable climate when you come to England. Every country has its own unique social and cultural norms. As an international student, it helps to familiarize yourself with these in order to know how to properly carry about your business in another country. Punctuality – English people are by and large very punctual. Being late can be considered rude. Therefore, if you’re running late, be sure to inform the person you’re meeting well in advance. Respect the line – Or more appropriately, the ‘queue’. Don’t ever cut someone in line. Standing patiently and awaiting your turn is ‘very English’. Be Polite – Always remember your ‘pleases’, ‘thank yous’, and ‘sorry’s’. The English are very polite, and you’ll probably stand out if you’re rude. Respect boundaries – Don’t get too close to someone when you’re talking to them. This makes people uncomfortable and could even come across as aggressive. Respect your elders – The elderly enjoy a great deal of respect in England. If you’re on public transportation, you’re expected to give up your seat for someone who is elderly or help them out if they are in need. England also has a rich and varied culture and a number of traditions which have been around for hundreds of years. Life in England is an immersive cultural experience which will allow you to experience all of its varied traditions. Bangers and mash, scones and clotted cream, Cornish pasties, hot buttered crumpets, fish and chips, Eton mess, mincemeat pies, Sunday roast, shepherd’s pie, steak and ale pie, and Yorkshire pudding. England is home to some seriously delicious foods. Once you’ve sampled all the quintessential English foods, you can delve into international cuisine. Once again, England, and in particular London, are extremely multi-cultural. You’ll never lack for options when it comes to delicious foods. Hit the neighborhood pub (not bar) for a warm pie and a tankard of ale in the evening, or sip on a delicious cup of tea while tucking into soft and crumbly scones. When it comes to food, you’ll be in splendid hands in good ol’ England. Public transportation system in England is one of the best. There are a variety of ways in which you can get around. These include taxis, the tube, trains, and local buses. If you’re studying in London, you could also walk to many places because everything is very centrally located. Travel passes such as the Oyster Card, Student Oyster Card, and TravelCard are a great and economical option for students. Once you know where you’ll be living and studying in England, you can determine which travel pass will be suitable for your specific needs. In England, there are two types of taxis: the classic black taxi and mini cabs. Black cabs operate mostly in central London and in some surrounding areas. These cabs can’t be booked in advance and typically are more expensive because they run on a meter. Mini cabs must be booked in advance and are a much more economical option because you get charged a flat rate for the entire journey. Students should always make sure they hire the services of a licensed taxi. Licensed taxis will always have their licenses on display. The classic red double-decker buses always pop into foreigners’ mind when they think of England. These buses, as well as regular buses operate throughout London and greater England. Each bus has its own routes and times. It’s helpful to consult route maps and timetables before boarding, and check for any delays or closed routes. The Tube is the oldest underground railway in the world and the first rapid transit system of its kind. This highly sophisticated system is divided into six different zones, with fares depending on which zone you’re travelling in. There are maps of the tube available at every station and can be consulted to plan your trips. Trains are another common mode of transportation and travel through all major cities in England. If you decide to study in England, you’ll join the ranks of numerous prolific individuals around the world who sought an education across the pond. Included in this list are notable individuals such as former United States President Bill Clinton, who studied at Oxford University. In addition, legendary children’s book writer Dr. Seuss also went to Oxford. England has so much going for it – world class academics and a surplus of things to do outside of university. If you take the plunge, your study abroad stint in England is sure to be the experience of a lifetime. Once again, England is calling. Have you decided whether you’re going to answer?